The customers existing timber post and lap panel fence was old and had become rotten. 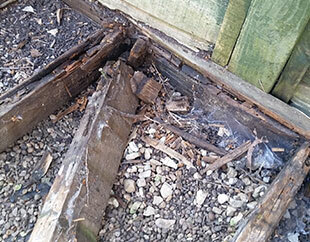 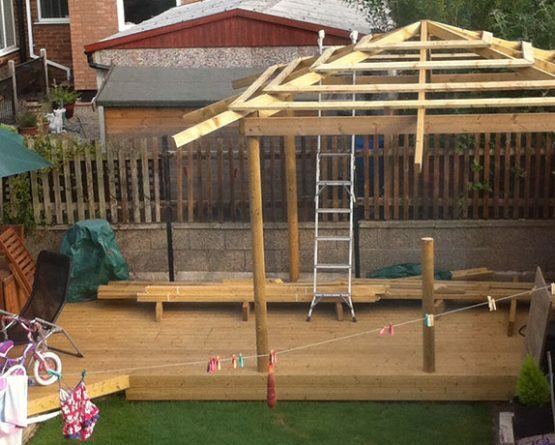 Unfortunately this had also spread to the sub frame of their existing decking and some decking boards. 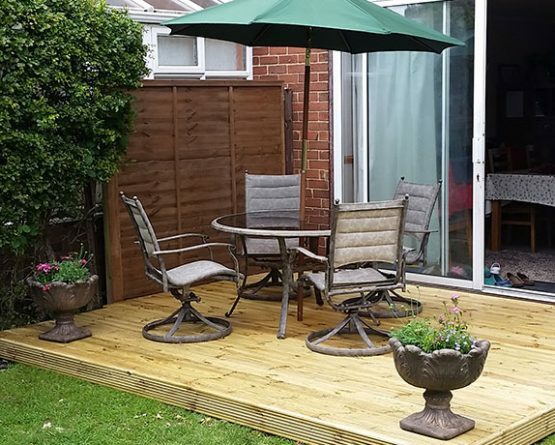 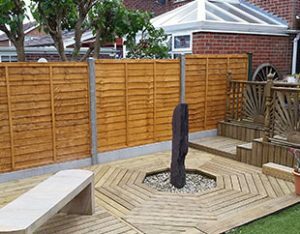 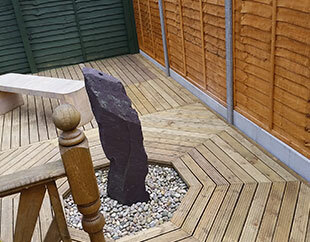 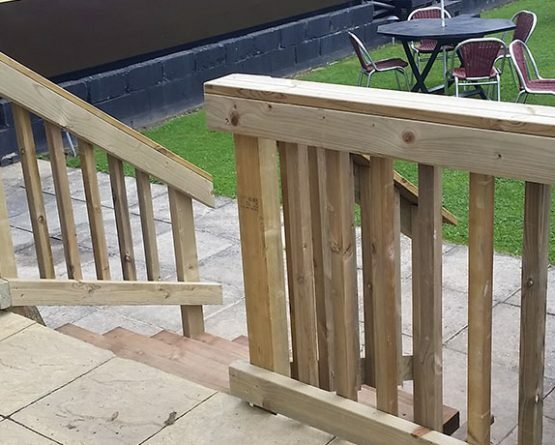 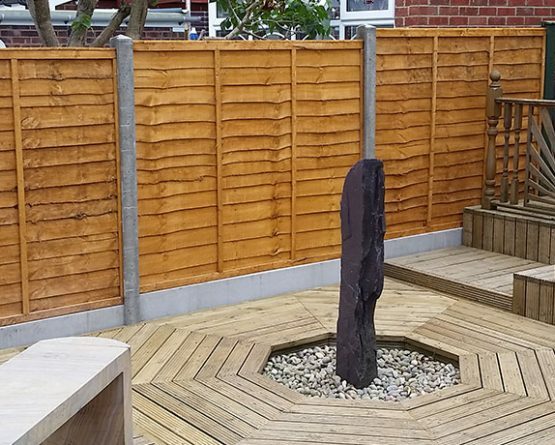 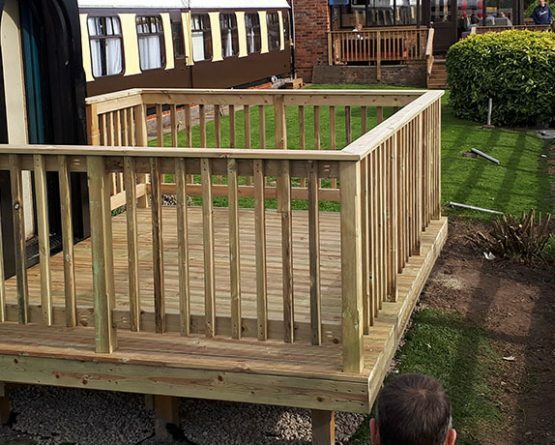 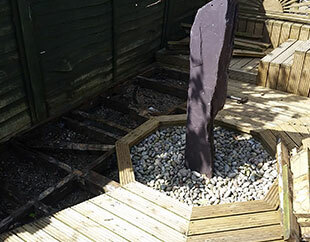 Rather than have an expensive decking replacement the customer wanted their decking replaced where necessary and a new fence with concrete posts and kick boards to prevent future issues. 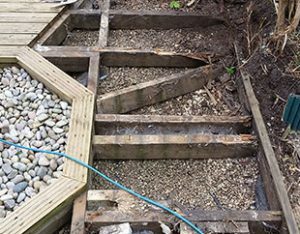 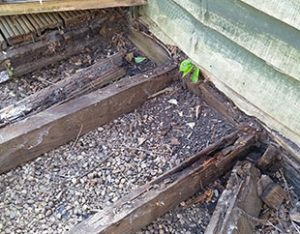 After lifting the rotten decking boards, the extent of the rot was large but had not spread so far as to warrant a full replacement deck. Rotten joists were replaced along with the boards. 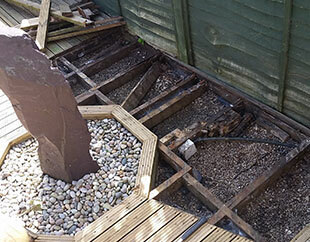 The fence was the removed entirely to make way for the new Concrete posts and kick boards. 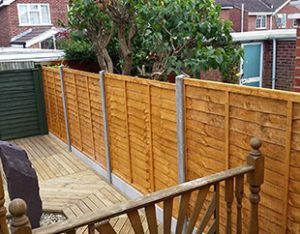 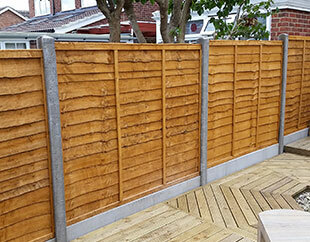 Quality lap fence panels were then installed to finish the job. 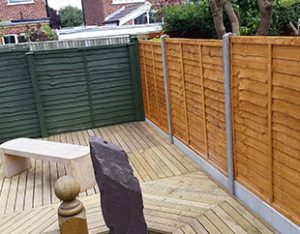 If you would like to obtain a no obligation quote please contact us on 07878 256771 or use our contact form.